Durket Süren ile Nurcan Yalçın, two reporters for the Jinnews news agency have said they were asked, while under police custody, to work as spies for the Interior Ministry. Detained on different occasions, both Suren and Yalcin said they were offered to gather information on behalf of the ministry. When they turned down “the offer,” they were threatened. 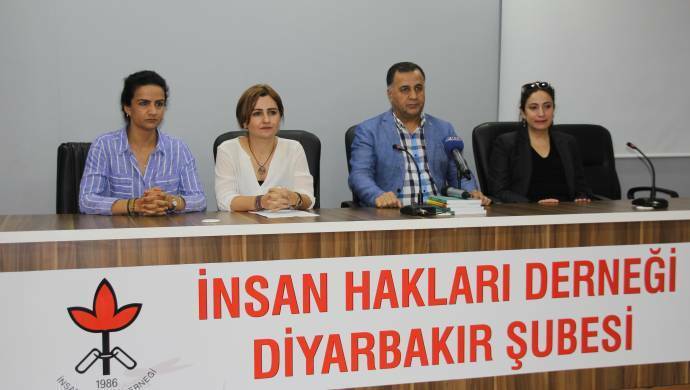 In a press conference at the Human Rights Foundation’s (IHD) Diyarbakir branch on Tuesday, the journalists said they were approacted by people who claimed to be working at the Interior Ministry. Yalcin described a similar conversation she had with alleged ministry officials who visited her while in custody on May 4. IHD Diyarbakir branch head Raci Bilici said many people have applied to their organization over complaints for being asked to work for the intelligence agency or affiliated institutions very recently. Duygu Erol, another Jinnews reported said in late March that she was approached in a similar way at a detention center.